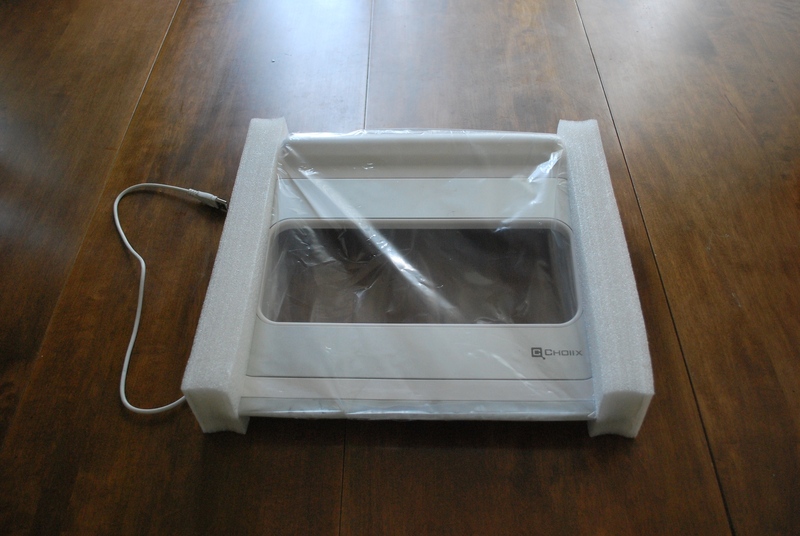 A common accessory to any laptop is a cooling pad. These inexpensive devices are designed to cool your laptop and make up for the faults of an experienced engineer. The big question I always ask is do these coolers really cool? Wouldn’t an engineer design their product to be cool and comfortable to use without additional aid? 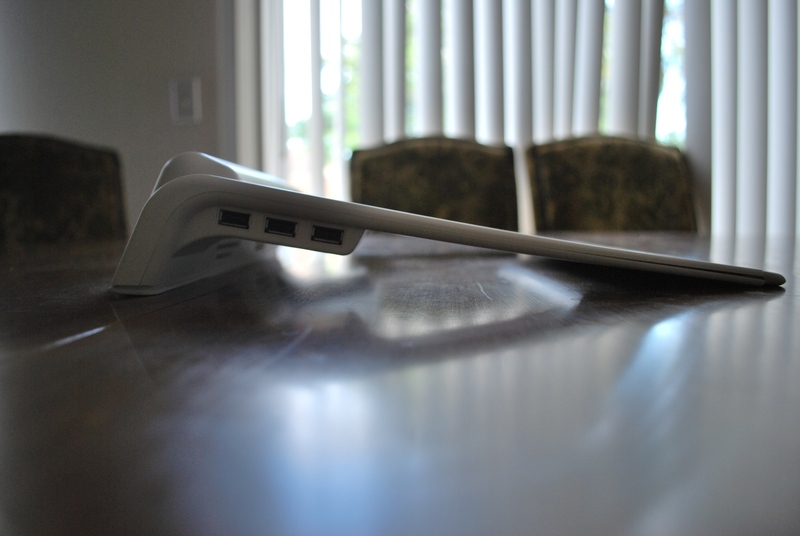 In my experience simply elevating the laptop about an inch off the table will cool the laptop to a noticeable degree; or even using your laptop on a harder surface, but I’ve never actually used a fan based cooler. 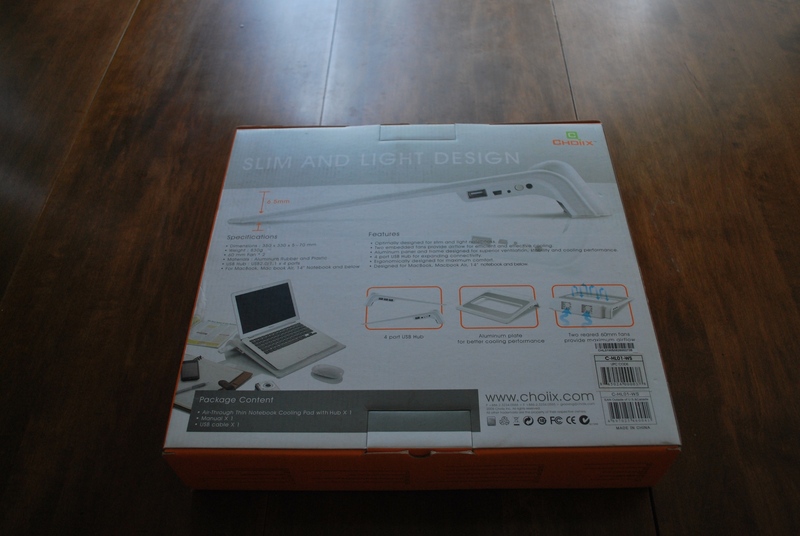 Today, I’m going to use the Choiix Air-through thin cooling pad with USB hub for the Apple Macbook and other notebooks to test my theory. Find out how this device fairs and if my theory is correct after the break. 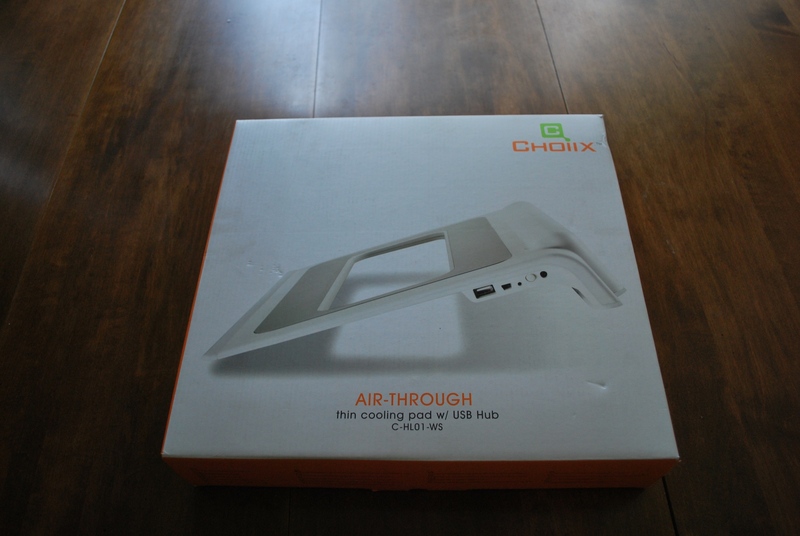 The Choiix Air-Through looks nice and it thought out design wise, but the material is a little flimsy. 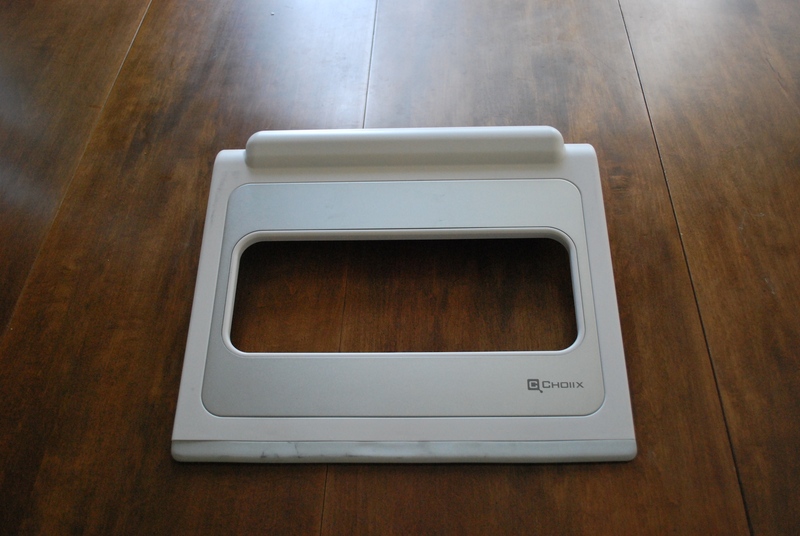 Also, the sharp corners of the product prevent it from being used comfortably on your lap designating the cooler to your desk. There are two fans on the back that blow in – not out (more on that later). 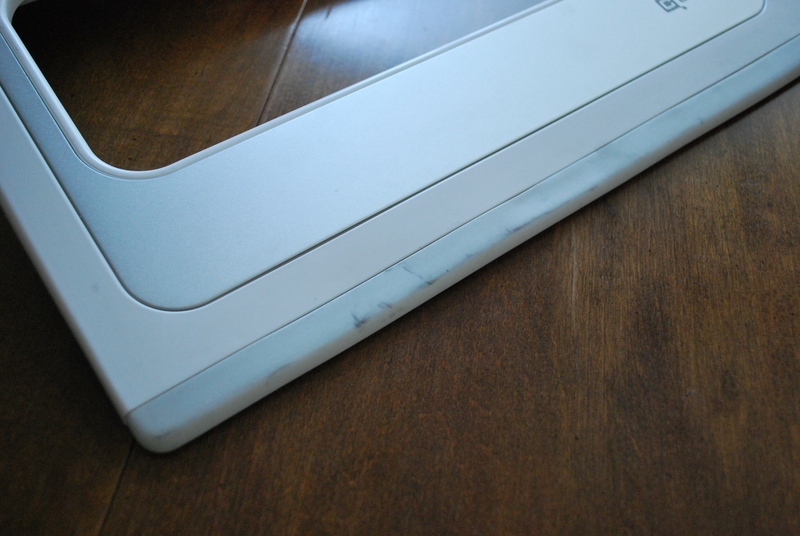 The slope is designed for wrist comfort and is something that more coolers need to do. The cooler came in a nicely designed box with a good bit of padding. Padding, however, can not prevent damage before it gets in the box, because my Air-Through has a relatively large black scuff on it. Not good. 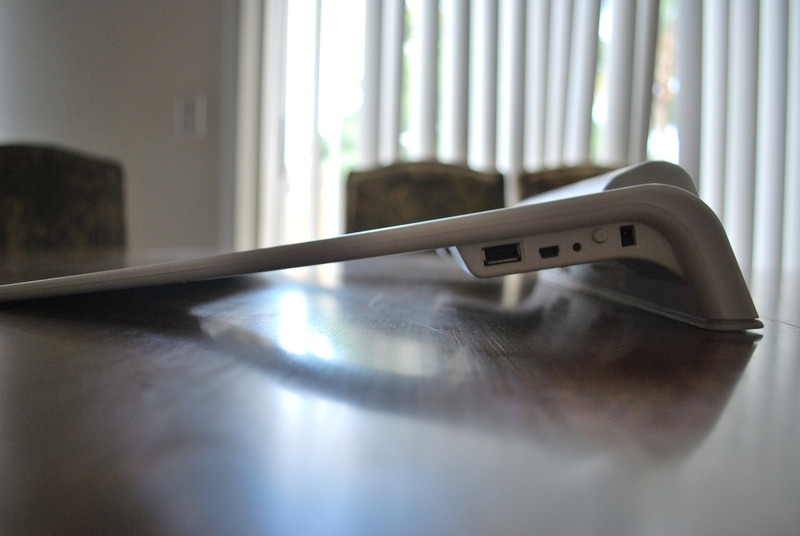 Also, the surface is rather slick, and my Macbook slides off of it rather quickly. 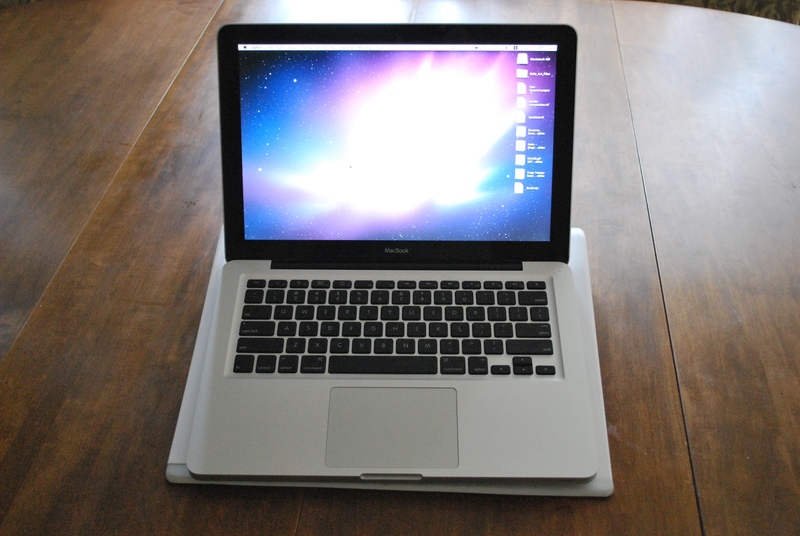 Also, the USB cable is on the wrong side for a MacBook and the supplied cable is almost too short. The USB hub works fine though. Factory Scuffs My MacBook just slides down.